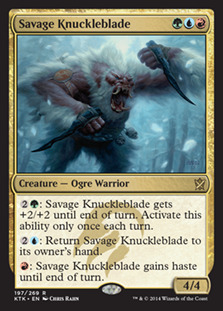 Sick of paying hundreds of dollars for a Standard deck, only to have cards banned from it? 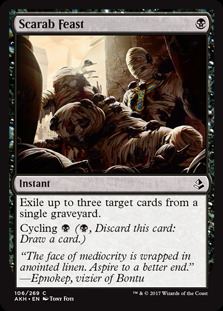 Not looking to sink a ton of money on a Modern or Legacy deck, but still wanting to play constructed? 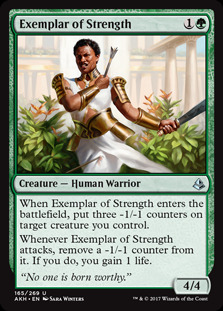 Is even Pauper too expensive for you? Boy, do I have the format for you. 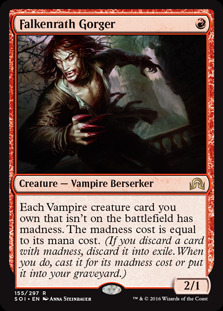 I was recently introduced to Penny Dreadful, a format where the only legal cards are those that are worth 0.01 tix on Magic Online. 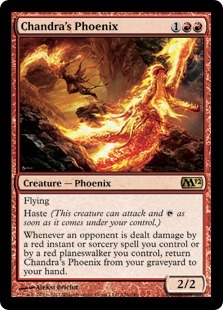 Yes, this means every deck in the format costs less than $1! 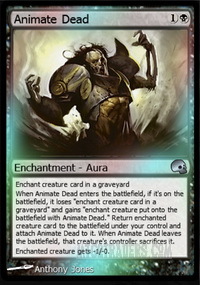 And while this sounds like it means that only bad cards are playable, it's surprising what sort of decks you can find. Join me as I take you through the format - what it is, how to play it, and some of the more popular decks. As I wrote above, Penny Dreadful is a format where every card is worth 0.01 tix. 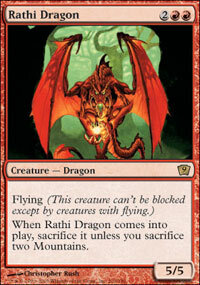 This includes, commons, uncommons, rares and mythics, meaning a wide variety of cards are available. At the time of writing this article, there is 9,755 cards legal in the format, including cards like Treasure Cruise , Mother of Runes , Animate Dead and Rofellos, Llanowar Emissary . 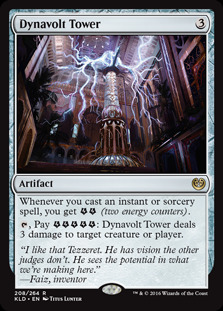 It is a constructed format, with decks of 60 cards with a 15 card sideboard, and a limit of 4 of each individual card (except basic land). 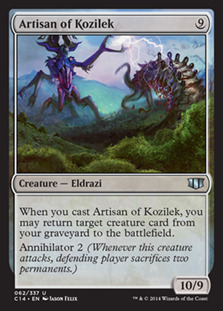 With every new set release, the format "rotates"; that is, which cards cost 0.01 tix are checked again and the legal card list updated. 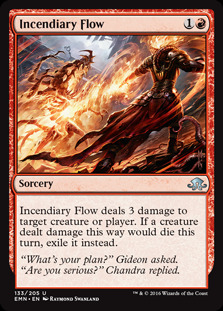 This creates an interesting dynamic; if decks become popular in Penny Dreadful and their prices rises because people are buying the cards for them, the deck will become illegal when the format rotates. This is good - unlike other formats where you stand to lose a lot of money, you are losing basically nothing here and it keeps the format fresh and interesting. The easiest way to find out what cards are legal is by using Scryfall, which has a Penny Dreadful filter. HOW DO I PLAY PENNY DREADFUL? First, you will need a deck (see below). Penny Dreadful is not officially supported by Magic Online (but again, see below), so you will need to save your deck as a Freeform deck. When you are ready, you can play. Games are organised in the Constructed Open Play rooms. You can play with your friends but, if you want a more competitive play experience, there are two options that you have. 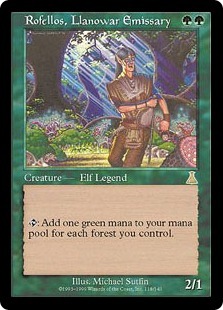 The first is a free Penny Dreadful league, which is run by www.pennydreadfulmagic.com and sponsored by MTGOTraders. You sign up for the league on the website, uploading your deck at the same time, then look for games in the Just For Fun room. You can either look for others who are wanting a league game (they will have "Penny Dreadful League" or "PD League" in the comments) or you can start a game yourself (make sure you add the comments). Upon completion of the match, a bot will report the results back to the Penny Dreadful Magic website. Play 5 matches and the league run will be complete. Leagues run for a month and, even though they are free, the best players at the end of the league will win prizes in the form of credits with MTGOTraders (you even get credits after completing a league run for the first time ever). The other way to play competitively is the regular tournaments held by www.gatherling.com. I have not played in any of these, but there are prizes available for these events as well and they are also free to enter, so you have nothing to lose! Indeed there is, and it's quite diverse. Rarely have I run up against the same deck in quick succession and, because of the way the format rotates, it stays fresh. That being said, there are certainly decks that are more popular than others. 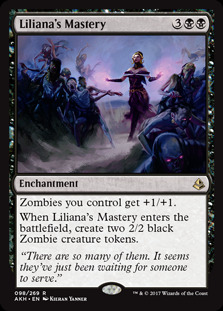 The deck runs three Lords between Cemetery Reaper , Lord of the Accursed and Liliana's Mastery . 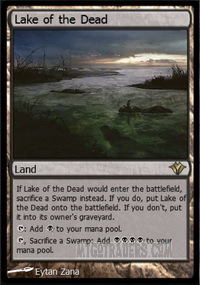 It is capable of explosive starts or huge Dark Salvation s thanks to Lake of the Dead and is certainly one of the most, if not *the* most, popular deck right now. This might not last, though - Cemetery Reaper has increased in price, and may not be legal after this season. I took this exact list through a league to see how it plays; it plays exactly as you would expect a Red Deck Wins deck to play. This shows a strength of this format - the decks, although filled with cheap cards, are actually quite strong and consistent. No creatures at all; just a bunch of counter spells, burn spells, and Dynavolt Tower . 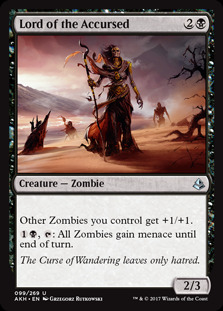 I haven't played against this one yet but it does show up in the league deck lists fairly often. These decks are just scratching the surface. 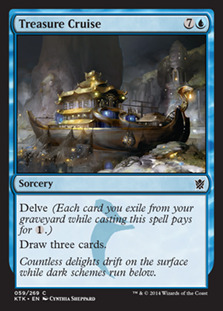 There is a huge variety of decks going around; the format is a brewer's paradise, with many different decks viable. 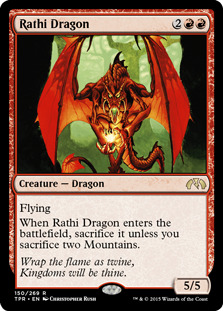 It has more one drops than the stock Red Deck Wins list, and also goes slightly bigger by adding Rathi Dragon , which was a staple of the old Deadguy Red decks of Tempest era Magic. I haven't played a lot with this deck yet, but it works well enough. Hopefully this article has generated some interest in this format; it really is quite a fun format. And with decks for less than $1, you really have nothing to lose by giving it a shot. It has been pointed out to me that Mother of Runes is not currently legal in the format - that is an error on my behalf.